Description: Daily Mass every Saturday at 8:15am, a great way to show our devotion to Blessed Virgin Mary! Monthly healing/anointing Mass. Description: Ash Wednesday -- Fast and Abstinence. 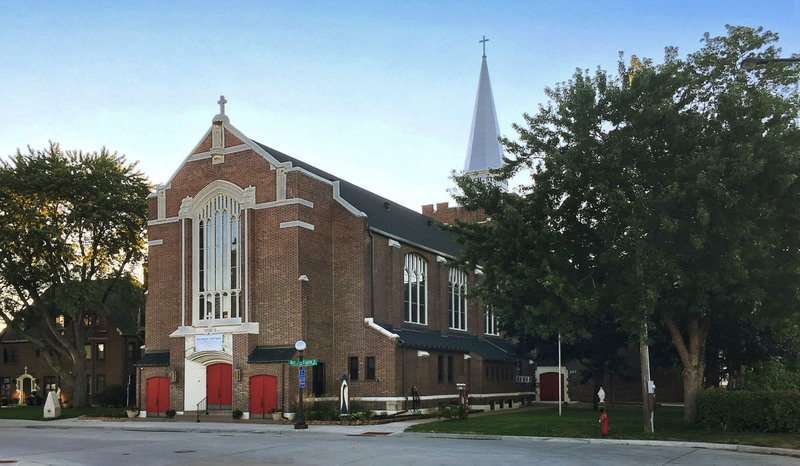 Masses at 12 noon and 5:30 pm. Description: Former pastor Fr. George Manjankal will be at Mass. There will be a second collection for the CFIC Children's Mission. Description: Former pastor Fr. George Manjankal will be at Mass. There will be a second collection for the CFIC Children's Mission. There will be a reception following Mass. Description: Second 1st Communion Meeting with Parent/Guardian. Daily Mass every Saturday at 8:15am, a great way to show our devotion to Blessed Virgin Mary! Monthly healing/anointing Mass. Ash Wednesday -- Fast and Abstinence. Masses at 12 noon and 5:30 pm. Former pastor Fr. George Manjankal will be at Mass. There will be a second collection for the CFIC Children's Mission. Former pastor Fr. George Manjankal will be at Mass. There will be a second collection for the CFIC Children's Mission. There will be a reception following Mass. Second 1st Communion Meeting with Parent/Guardian.